Can one movie reclaim the First Amendment from today's Left? Here's why it might. Lewis and Clark College students raged against an appearance by author and intellectual Christina Hoff Sommers at the Portland college’s law school, interrupting her speech repeatedly with a litany of vile and untrue claims against her. She was only able to share a part of her prepared comments. Some Republicans at the University of Wisconsin-Stevens Point reported dozens of signs promoting the group’s “NRA University” event were removed by vandals. What’s worse? Officials suspect a former UW-Stevens Point student and employee shared the names and email addresses of several College Republicans on Facebook, slamming them as racists in the postings. If a college or university wants conservative Ben Shapiro to speak at their campus it requires thousands of dollars in security to keep The Daily Wire editor in chief safe. And he’s not alone. That’s just a sample of the insanity disguised as business as usual on universities today. And it’s getting worse. 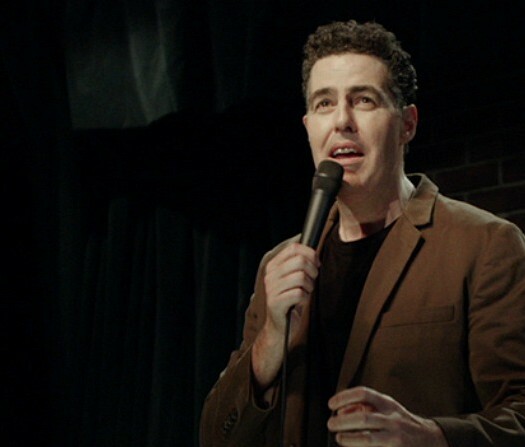 Enter Adam Carolla and Dennis Prager. The podcaster and conservative talk show host began teaming up on stage and behind the microphone a few years ago. Carolla is an atheist. Prager holds firm to his Jewish faith while supporting Judeo-Christian values. Now, they’re making a film that could give liberals fits. Why? Today’s progressive is, more often than not, unconcerned about free speech. In too many cases, it’s the far left trying to censor or silence voices. And Hollywood remains silent on the issue. 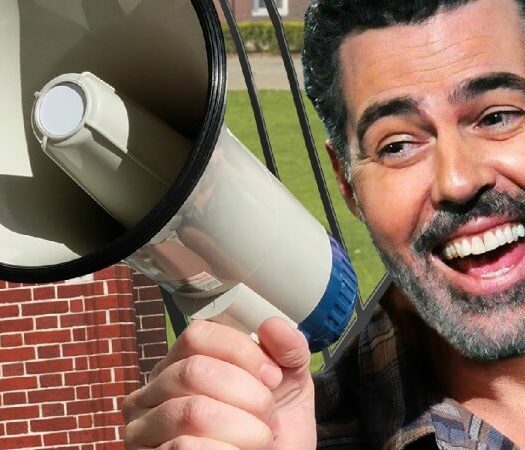 Triggered liberals call anything they disagree with “hate speech,” thus the need to hire security when the mild-mannered Shapiro appears on campus. The label is so broadly applied it can be used against virtually anyone with whom they disagree. The film features Carolla, a right-leaning comic, along with the conservative Prager and Red State-friendly Tim Allen. Guess who else appears in the film? Van Jones, a reliably left-of-center pundit. Cornel West, an intellectual giant for the progressive movement, also makes a cameo. So does Alan Dershowitz, another liberal icon known for defending free speech on both the left and the right. Their contributions to “No Safe Spaces” will make it harder for liberal media outlets to dismiss the film as mere propaganda. Chances are they’ll do it all the same, though. It just won’t stick like they hope. The podcast giant has made a second career out of upending traditional models. When terrestrial radio cast him aside, Carolla reinvented himself as a podcaster. When film festivals rejected his comedy films he went the indie route and crowdfunded projects like “Road Hard.” He runs a mini-empire today, brimming with podcasts, self-help guides and alcoholic beverages. Making a new film outside the Hollywood ecosystem is a snap for the self-made Carolla. It’s easy for conservatives to dismiss your average Michael Moore movie. He’s a hard-left polemist using film to hammer home his agenda. The same can be said for liberals attacking the few conservative movies in the market place. It’s propaganda, plain and simple, they cry. Free speech isn’t a political issue. It’s protecting a key element of the Constitution, one that’s been a hallmark of this country from the very beginning. Carolla isn’t an overtly political fellow. He eschews labels and prefers a common sense mantra above all. That makes shredding “No Safe Spaces” on ideological grounds that much tougher. The Canadian psychology professor scored a direct hit in January when biased interviewer Cathy Newman tried to bury him with straw men and false facts. Their exchange went viral, and his global presences grew overnight. Today, he’s a bestselling author (“12 Rules for Life: An Antidote to Chaos “) and a constant thorn in the side of those who prefer identity politics over thought and reason. He’s peaking at just the right time for the movie’s consideration, even if he may only appear in a scene or two. He’s sure to flex his social media might (622K strong) to spread the word once “No Safe Spaces” hits theaters. Chewbacca Mom didn’t need an agent or a special skill to become a 15 minute sensation. All it took was a goofy video of her laughing, and laughing some more, while wearing a Wookie mask. That’s how viral videos work. Should one clip from “No Safe Spaces” hit the zeitgeist it’ll be more powerful than any traditional ad campaign. And, given the incendiary material in play, the chances of that happening are better than average. That term is often used by partisans to bolster their issue du jour. Can anyone honestly claim supporting free speech is a losing issue? In the 1960s UC Berkeley was Ground Zero for free speech. Now, it’s where free speech goes to die. The film wants more expression, not less. More independent thought, less groupthink. It shouldn’t take a historian much time to suss out which side Americans should be on. This reporter interviewed “Avengers: Infinity War” actor Josh Brolin last year in connection to his excellent fire fighter drama “Only the Brave.” When asked about the suppression of free speech on college campuses he went silent. He had no idea the problem existed. And he’s likely not alone. Many Americans don’t get updates on the situation because the media would rather not cover it. When reporters do, it’s rarely as part of a larger problem that demands attention. A movie like “No Safe Spaces” might change that, promoting the notion that college students deserve to hear both sides of an argument to become smarter, and more prepared, for the real world.